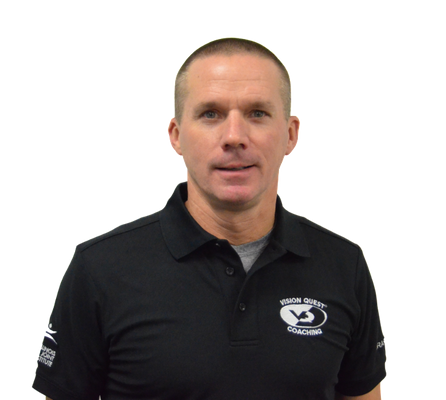 I coach to help athletes accomplish peak goals through the sport of triathlon. It is a joy to inspire and assist an athlete in reaching a fitness-performance goal. My philosophy of coaching is based upon positivity, responsiveness, inclusion, and diversity. I am eager to learn and share the expertise from the accrediting disciplines that make up triathlon. My coaching career is built upon 30 years of teaching and leading in collegiate academia and a 10-year career in triathlon, having completed ten full Ironman races (in 5 years and a day) with age group and specific discipline finishes in the top 7 to 50. Advanced education, successful partnership and marriage with my wife, and triathlon—I have raced at each of the distances, many with my spouse, Ann, during my professional life. In the long course, I've ranked as an All World Athlete Ironman in 2018 (Silver); 2017 (Bronze); 2016 (Silver); and 2015 (Silver). My fastest finish time in an Ironman is 10:33.06, and I plan to complete Ironman Maryland and Lake Placid in 2019-20, while develop my coaching career with athletes helping to reach their personal and performance goals in the sport of triathlon. What Is the Most Epic Event You Have Done? Ironman Coeur d’Alene before it was retired as a full-distance event is the most epic. This was my second full Ironman race after Arizona, and the combination of harsh conditions, challenging terrain, and personal performance goals, made it a finish of celebration for me. What Is VQ to You? I embrace and identify with VQ's core values of community, innovation, fitness journey, life balance and safety. It is also a joy to be among professionals who are continually open to new ideas and learning. The professionals at VQ are dedicated to helping athletes extend their range and integrate this performance into busy lives; this includes all three triathlon disciplines, as well as the disciplines of nutrition, functional training, and wellness. Favorite Pastime When Not Cycling or Swimming or Running? I am an enthusiast of art, especially sculpture, and enjoy learning about processes and causes as a former Change Management Professional [Six Sigma Black Belt]. I like to travel to new locations for races and training. And I very much enjoy news and reading about politics. What Can Athletes Expect from My Classes? Athletes can expect a class that emphasizes community, camaraderie, and fun; instruction and feedback; and hard work with correct form. Typically, rides start with a chance for athletes to meet other VQ members near them. I next show the VQ ride instruction video twice so athletes can carefully hear and understand the details of the workout. I then relate the workout to a central idea or simulation—and visualize on a whiteboard for instruction after calibration and warmup. I try to entertain as well with music, personal experience, gaming, and visuals. Throughout the workout, I enjoy talking with athletes and getting to know them personally and their performance goals.